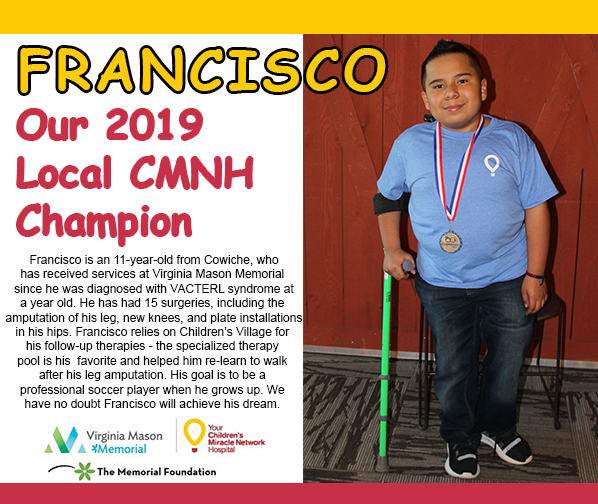 We are excited to announce our 2019 Local CMNH Champion, Francisco! 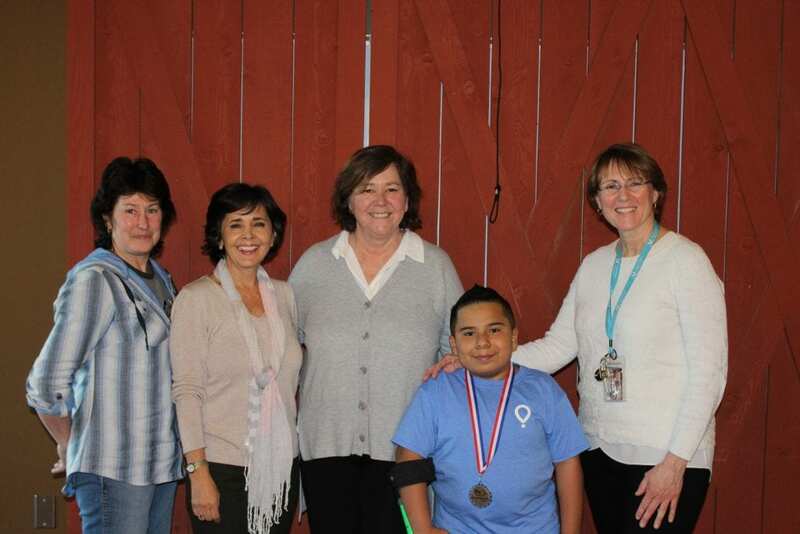 Francisco is an 11-year-old from Cowiche, WA, who has received services at Virginia Mason Memorial since he was diagnosed with VACTERL syndrome at a year old. He has had 15 surgeries throughout his short life, including the amputation of his leg, new knees, and plate installations in his hips. Francisco relies on Children’s Village for his follow-up therapies – the specialized therapy pool is his favorite and helped him re-learn to walk after his leg amputation. His goal is to be a professional soccer when he grows up. We have no doubt Francisco will achieve his dreams. Be on the lookout this year for Francisco’s picture as he represents our hospital during CMN campaigns at companies like Costco, Walmart, Ace Hardware, and Panda Express. Join us in congratulating our local champion for this prestigious honor! Francisco with some of his original therapists and Laura Crooks, CEO of Children’s Village.